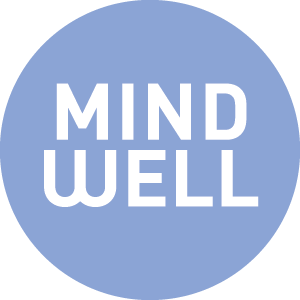 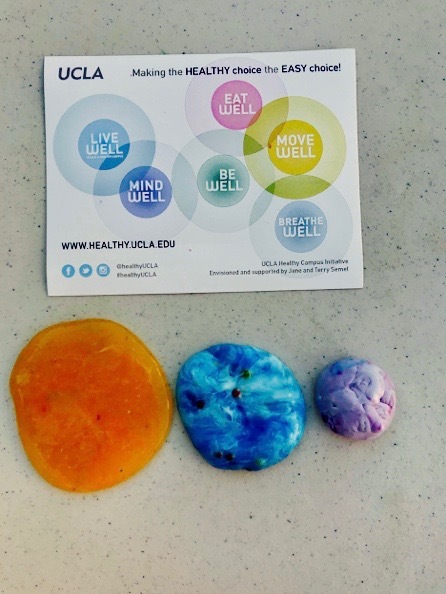 On Friday, December 7th, members of the MindWell pod in the Healthy Campus Initiative came together to put on a de-stressing event for students before finals head into full swing. 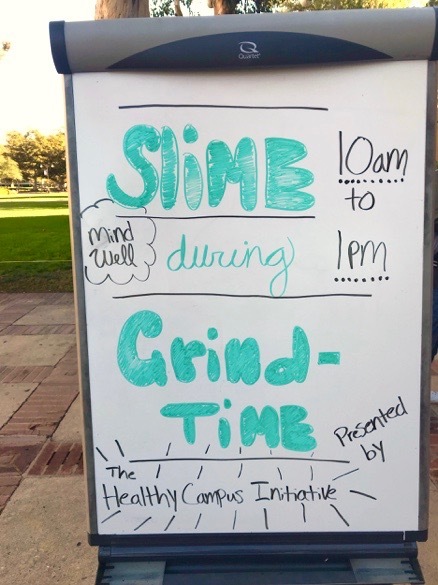 The event was filled with fun, relaxation, and slime– appropriately named slime time during grind time. 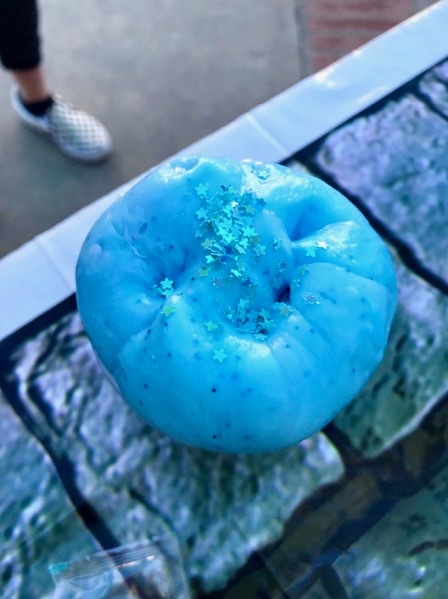 Yes, slime. 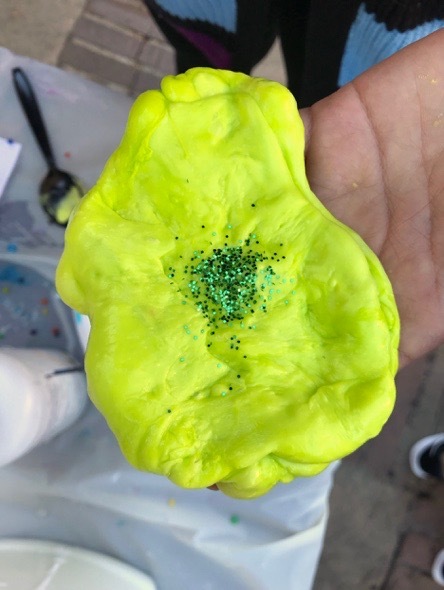 That stretchy, goopy substance that many of us played with when we were little, and that Nickelodeon has made famous. 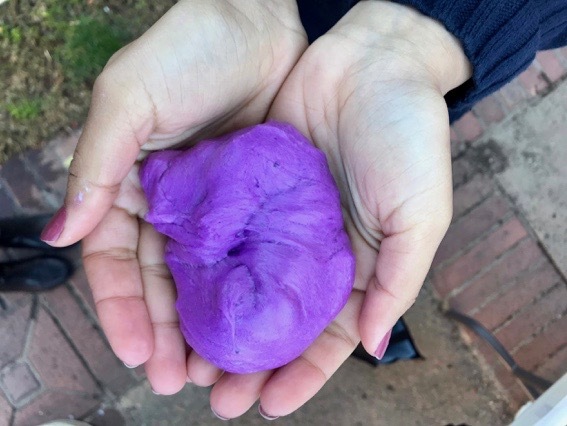 Making and playing with slime has also been really big on Instagram for the past couple of years as it’s oddly satisfying to watch others play with slime. 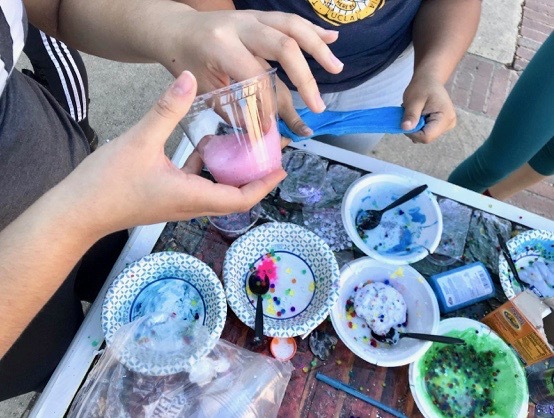 The goal of the event was to bring a pop of fun into students’ days, bring their minds away from the stress of finals and papers, and allow them to relax and have fun making something they could use to destress with at home while they’re studying. 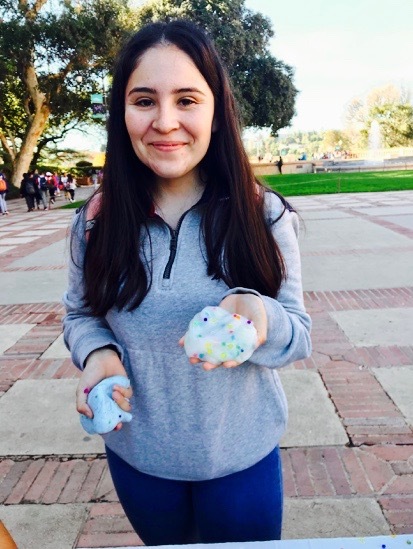 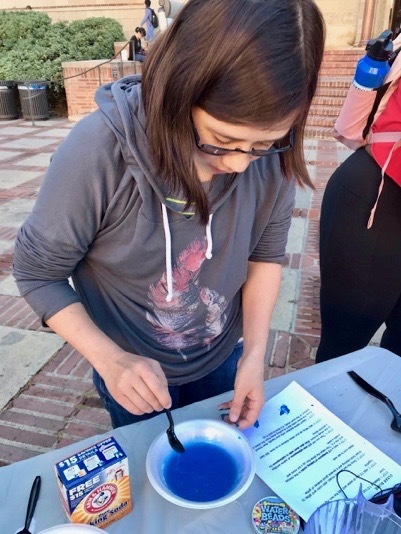 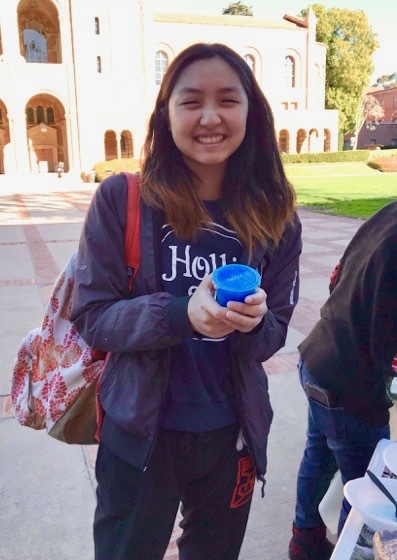 All of the students who stopped by our tables took home beautiful and fun globs of slime that can act as stress balls, or recreate the act of play when students want to take a mental break from their studies. 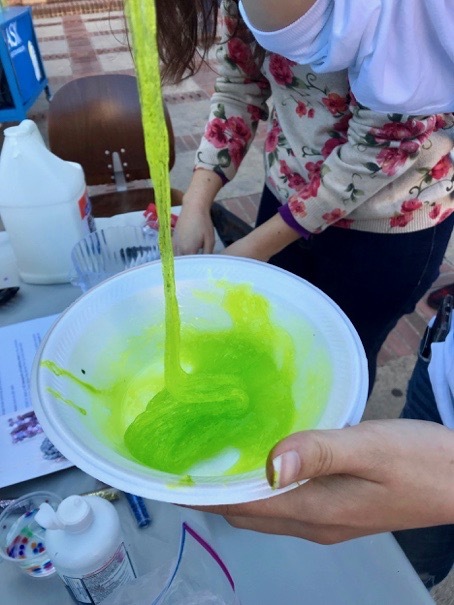 About 100 Bruins stopped by the tables in front of Powell library in a span of three hours to make their own slime. 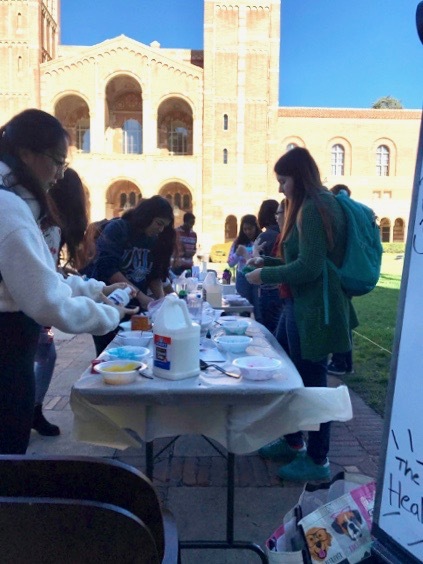 The atmosphere at the tables was one of community, with many of the students talking about finals that they had just come from, papers they were heading to the library to write, or study groups they were going to. 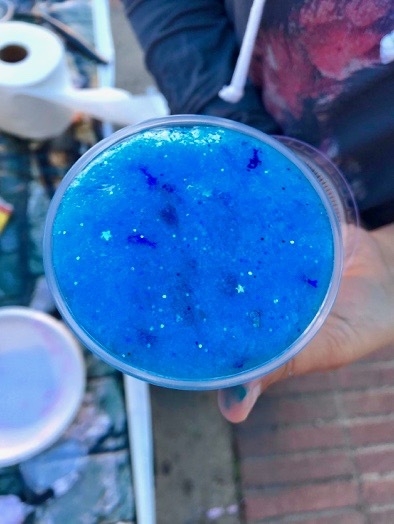 Elmer’s glue, contact lens solution, baking soda, and any food coloring, glitter, or beads that you want to add. 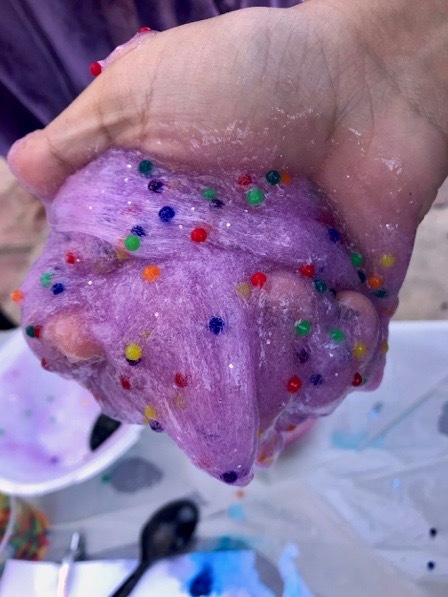 Begin to knead the slime in your hands until it begins to firm. 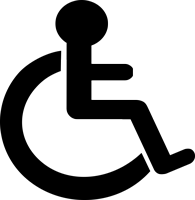 If needed, add more contact lens solution to make it less sticky. 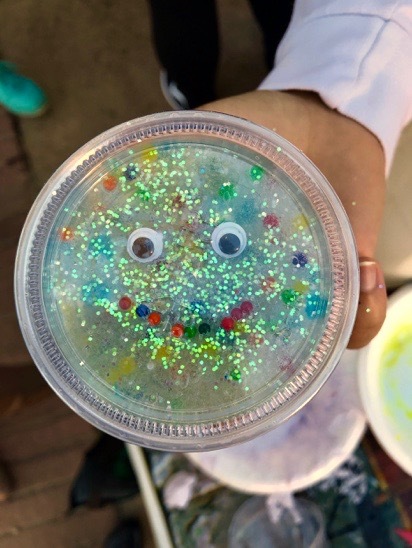 Add whatever other beads, more glitter, or even color that you want into your slime and have fun!